Slurry Tank Heating - Hydro-Thermal Corp.
Higher quality starch conversion. The condensation of steam bubbles prevents hot spots from occurring and results in a consistent temperature at the Hydroheater discharge. This prevents denatured enzymes and retrograded starch resulting in better enzyme utilization and higher quality starch conversion. Accurate temperature control. When using a Hydroheater for slurry tank heating, all of the slurry will enter the tank at the correct temperature, and there will be minimal temperature variation across the tank. This will allow the enzymes to be optimized for the full retention time required and will result in higher starch conversion before the downstream Jet Cooker. Reduced maintenance. Keeping all of the steam injection contained at one point and externally of the slurry tank will prevent damage to the tank from the spargers. It will reduce the amount of unscheduled or scheduled maintenance hours required for fixing the steam sparger or possibly the slurry tank. Energy savings. All of the steam will be condensed in the Hydroheater before it is discharged back into the slurry tank and no steam will be lost to atmosphere. This will reduce the amount of steam needed for the same temperature rise at the slurry tank and there will be lower natural gas usage at the boiler. Particle size reduction. The additional shear point added to the process will help reduce the particle size exposing more available starch and break up “dough balls”. This will allow a larger surface area for enzyme contact for the full retention time which will improve the starch conversion process. Little Sioux Corn Processors, LLLP (LSCP, LLLP) is an ethanol producer located in Marcus, Iowa. 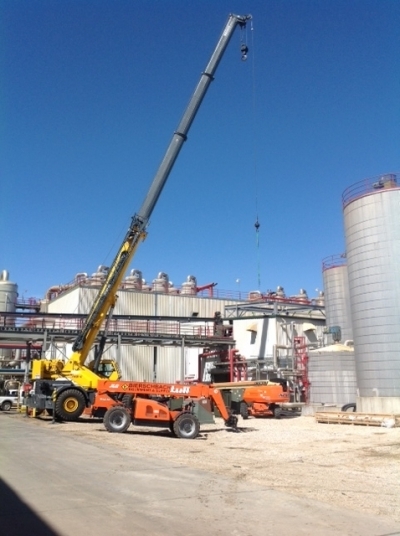 The company was utilizing an inefficient sparger design for their slurry tank heating. The plant management team started researching different options with the goal of finding a better solution. LSCP, LLLP was looking for ways to optimize their facility when they discovered Hydro-Thermal’s solution for slurry tank heating. 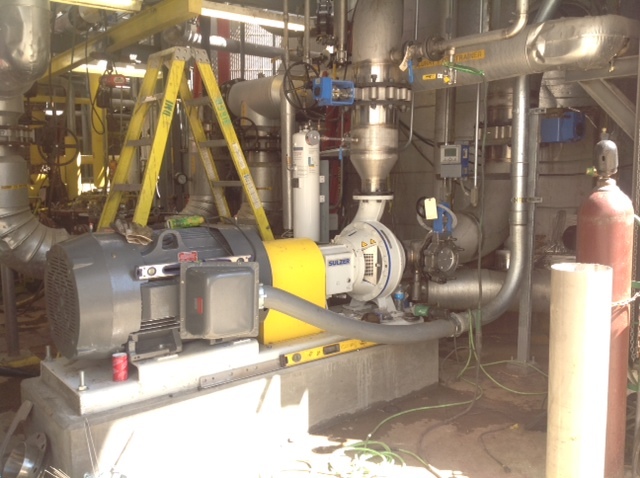 Hydro-Thermal provides a turnkey solution that includes project management as well as all skid parts and components. The solution works by incorporating a Hydroheater / Jetcooker in the recirculation line which pulls from the coldest part of the slurry tank. The liquid is then re-circulated back to the slurry tank. If you are interested in learning more about LSCP, LLLP’s success story or about Hydro-Thermal’s slurry tank solution, please email us or call us at 262-548-8900.